People tend to take things like toothbrushes and toothpastes for granted. They have been around since you were born. You never gave a thought to when they were invented, how they are made, or what they consist of. In today’s blog, your Livonia, MI dentist, Dr. James Stewart, shares some interesting FAQS about toothpaste. Q: How does toothpaste clean your teeth? A: For thousands of years people have been using abrasive agents to clean stains, and that irritating film that forms on your teeth called plaque. Toothpaste improves the cleaning power of the toothbrush. Toothpaste contains abrasives that help remove stains, remove plaque and smooth and polish your teeth. Q: Are these abrasives safe for your teeth? A: Yes. The abrasive ingredient in toothpastes today is usually hydrated silica. Hydrated silica has been determined to be safe to use in food products by the US Food & Drug Administration. It has no known toxicity or carcinogenicity and is a natural, mild abrasive. Q: My toothpaste says the active ingredient is sodium fluoride. What is an active ingredient? A: An active ingredient is that ingredient that provides the beneficial effect by treating or preventing the disease, ailment, or condition. In the case of toothpaste, the active ingredient–sodium fluoride–is added fluoride which helps prevent tooth decay. Q: Why does toothpaste have so many inactive ingredients? A: Inactive ingredients are ingredients added to the hydrated silica and sodium fluoride to form a paste for easy and effective use on your teeth. 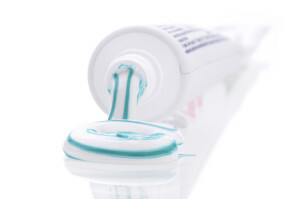 Inactive ingredients in toothpastes include binding agents, thickening agents (xanthan gum, cellulose gum, titanium dioxide), foaming agents (sodium lauryl sulphate), flavorings, and colorings. Q: Do tartar control toothpastes really work? A:In toothpaste sodium pyrophosphate acts as a tartar control agent by removing certain minerals from your saliva that build up on your teeth forming tartar.